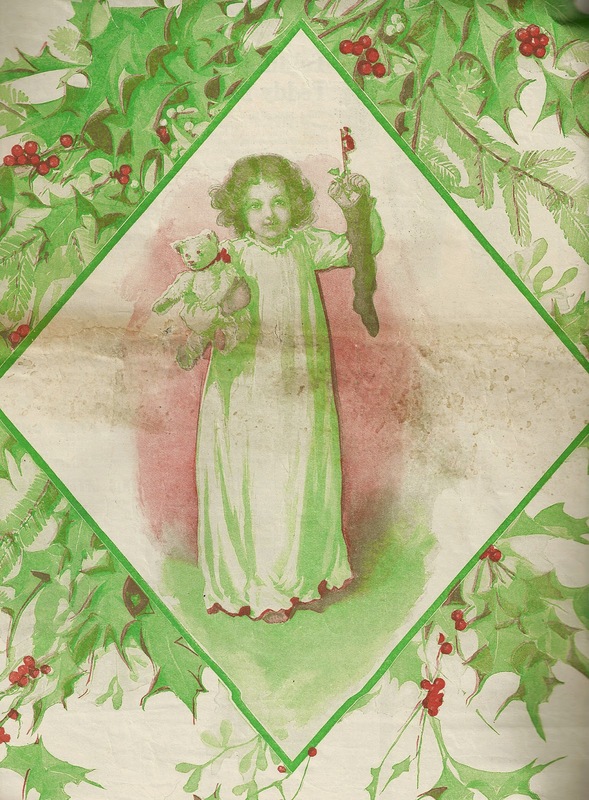 “The stockings were hung by the chimney with care, in hopes that St. Nicholas soon would be there”. Legend has it that St. Nicholas was traveling through a small village and heard of 3 impoverished girls whose father could not afford dowries for them. St Nicholas entered their cottage by sliding down the chimney and found freshly laundered stockings drying by the fire. He filled their stockings with gold coins. St Nicholas was born in Greece (now the southern coast of Turkey) in the 3rd century. He is the protector of those in need, fishermen and children. 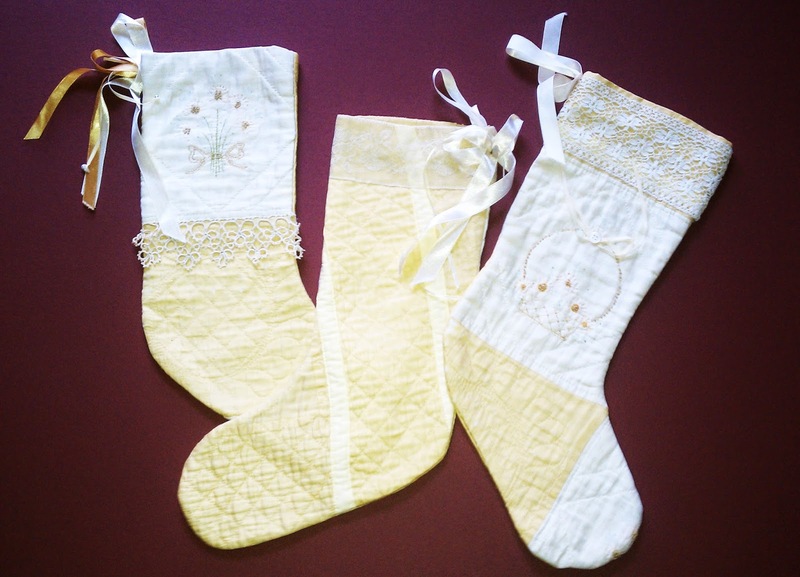 Christmas stockings made from a 19thC quilt and trimmed with vintage laces and ribbons. Hopefully your stockings, if not filled with gold, will not be filled with lumps of coal.